Extinguisher, Amerex, Type K (Kitchen) 6 Ltr. 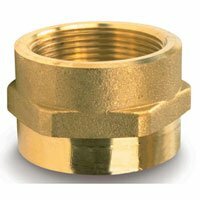 Fitting, Brass Adapter, 1.5 in. NPT-Female x 1.5 in. NST-Male Rigid hexagon design in cast brass. Used to change configuration, threads or size. Reducer, Brass, 1.5 in. NST-Female x 1 in. NST-Male Pin lug design in cast brass. 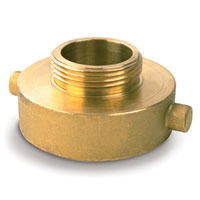 Brass Reducers are used to change threads or fitting size. Sign, Class K-Kitchen Fire Extinguisher Arrow, Bilingual, 8 in. Sign, Danger - Authorized Personnel Only, 8 in. X 10 in. Sign, "Danger - Authorized Personnel Only", Rigid Plastic, 8 in. X 10 in. Pre-drilled mounting holes. Sign, Danger - Flammable Liquids, 8 in. X 10 in. Sign, Danger - Flammable, 8 in. X 10 in. Sign, "Danger - Flammable", Rigid Plastic, 8 in. X 10 in. Pre-drilled mounting holes. Sign, Danger - High Voltage, 8 in. X 10 in. Sign, "Danger - High Voltage", Rigid Plastic, 8 in. X 10 in. Pre-drilled mounting holes. Sign, "Danger - No Smoking", Rigid Plastic, 8 in. X 10 in. Pre-drilled mounting holes. Sign, Directional Arrow, 5 in. X 8 in. Sign, Door to Remain Unlocked, 2 in. X 23 in. Sign, Emergency Exit Only, 6 in. X 12 in. Sign, Emergency Eye Wash, 8 in. X 10 in. Sign, "Emergency Eye Wash", Rigid Plastic, 8 in. X 10 in. White Lettering with Green background and pictogram Pre-drilled mounting holes. Sign, Exit, 8 in. X 12 in. Sign, Fire Door - Keep Closed, 6 in. X 12 in. Sign, Fire Extinguisher Arrow, 3D, 5 x 5 x 6 in. Sign, Fire Extinguisher Arrow, 8 in. X 12 in. Sign, Fire Extinguisher Arrow, 90 degree, 4 x 18 in. Sign, Fire Extinguisher Inside, 6 in. X 9 in. Sign, Fire Hose, 4 in. X 12 in. Sign, In Case of Emergency - Dial 911, 8 in. X 10 in. Sign, "In Case of Emergency - Dial 911", Rigid Plastic, 8 in. X 10 in. Red Lettering on White background Pre-drilled mounting holes. Sign, In case of fire ... Use stairways , 5.5 in. X 7 in.